View this webinar where a top IDC Research Analyst shares survey data regarding the state of the storage industry. He provides insights on recent trends, including that 80% of survey respondents stated that they plan to use all-flash for primary storage in their data center by 2019. 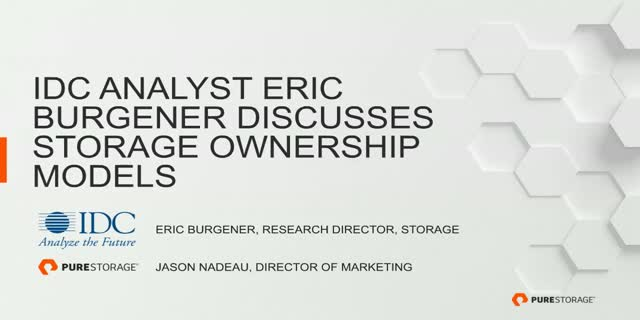 Another highlight is the discussion regarding the important benefits of new models for storage ownership. One of these industry leading models is Evergreen Storage. It eliminates the need to rebuy storage during the acquire-run-upgrade lifecycle, providing great value and always-improving performance for your storage investment for 10+ years, while saving time and money.